I was contacted by this band and asked to review this release. Hopefully this will become a trend. 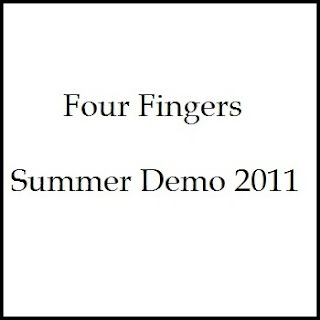 Four Fingers are from Northern, New Jersey and have been a band for what seems to be five or six years now. 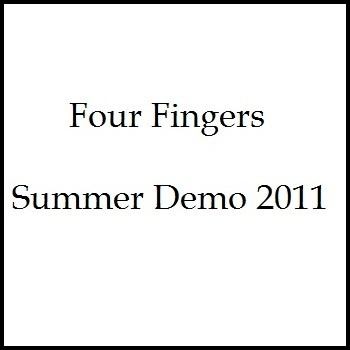 This complete demo does not break three minutes. These three songs are very short and fast, the shortest being 28 seconds. Upon first listen I felt like I was in middle school listening to the Circle Jerks on a cassette tape that I just stole from the mall. It has that same vibe and recording quality as some of the faster 80's California punk both lyrically and musically. I'm not a huge fan of this style, but if you are, then you'll like this. Check it out here.